The Financial Select Sector SPDR Fund (XLF) is nearing a technical inflection point on its daily chart. This year the fund has been making a series of lower highs above horizontal support in the $26.50 area. 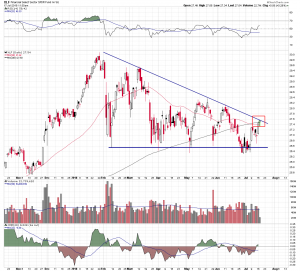 This price action has formed a large triangle pattern on the daily chart. Earlier this month the support area was successfully retested and now the triangle resistance or downtrend line is being retested. But this time the downtrend line is intersecting with the 50 day and the 200 day moving averages, adding additional levels of reinforced resistance. The significance of a breakout is increased by this trifecta of resistance. The XLF and the financial space in general would be expected to rally big if it were broken. 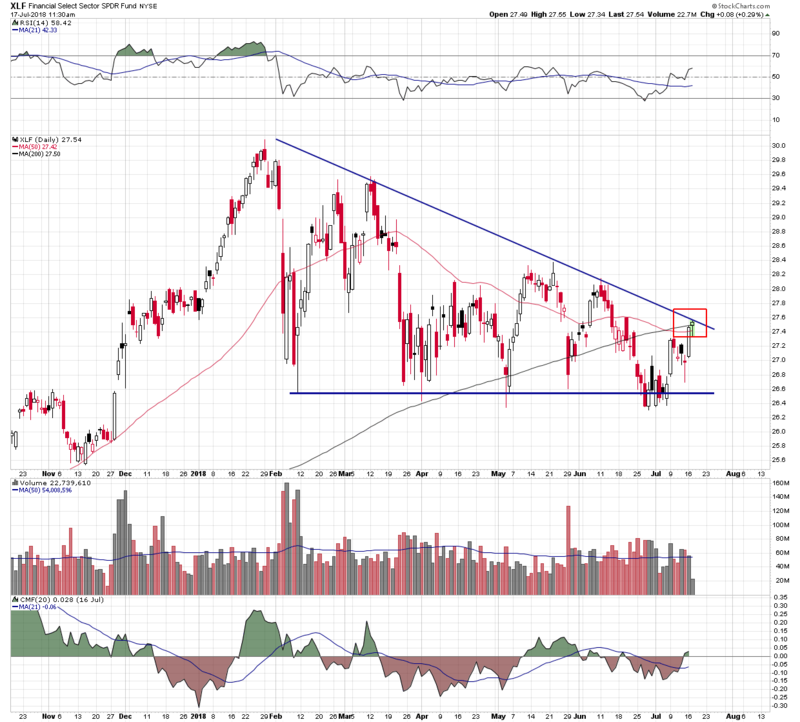 A measured upside move from the triangle pattern projects to new highs for the fund. A failure at this point and subsequent break below triangle support, however, implies a potential retracement back down to the XLF’s 2017 lows.